This is Brandon. 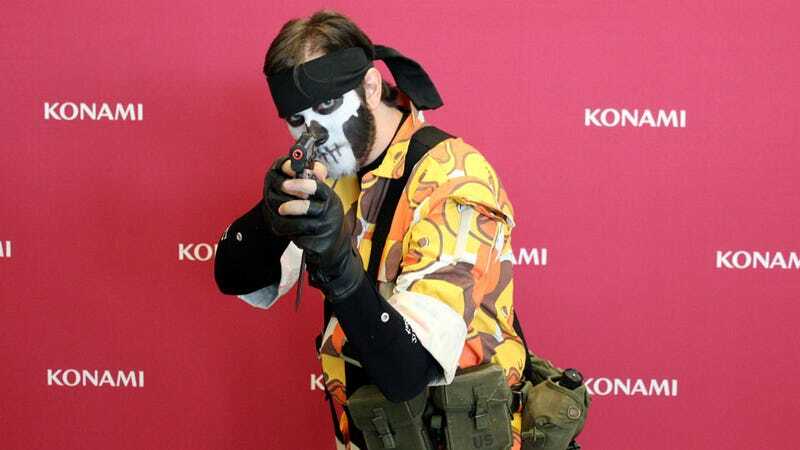 He just won "Best In Show" at Konami's cosplay competition for his take on Snake from Metal Gear Solid 3: Snake Eater. Look closely and you'll see why his costume impressed the contest's judges. This Snake cosplay is based on the GA-KO camouflage from Snake Eater. GA-KO is a cartoon duck featured in a handful of Metal Gear games and the camouflage pattern was introduced in Metal Gear Solid 3. The man you see above pulled off this rare camo-cosplay by hand-painting his entire outfit and sewing the whole thing together. You can see some of the painted details in the gallery above. Give our winner a hand.